Hopelessly Devoted Bibliophile: Gina Damico shares her favorite childhood books, plus a CROAK prize pack! 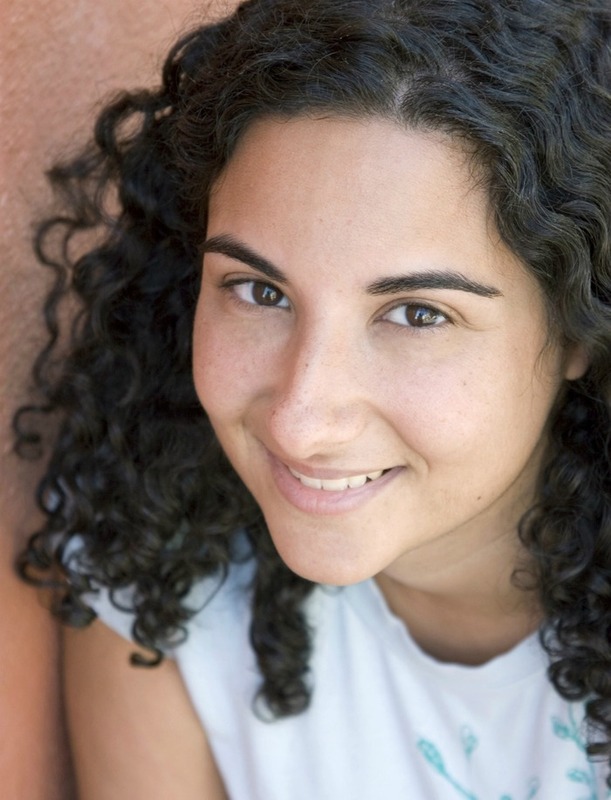 Gina Damico shares her favorite childhood books, plus a CROAK prize pack! 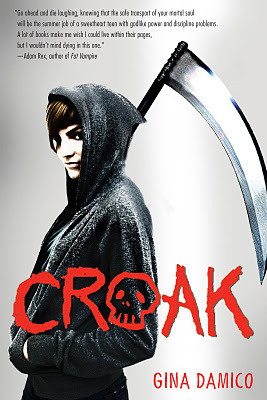 Bringing a little of the dark and macabre to the blog today is Gina Damico, author of Croak. This was a book that caught my eye straight away! After all, who doesn't want to reap the benefits of a good book? Okay, bad pun. I know. Read on. Pretty fabulous, am I right? Now I'll let Gina take the floor! She's here to share with you some of her favorite books from childhood, and she's brought along a GIVEAWAY! Read on, my friends. Read on. When I was five, I was in love with a book called Herman the Helper, by Robert Kraus. I checked it out every single time I went to the library, because I guess it never occurred to me to actually buy the thing. Anyway, it's about a little octopus named Herman who is very, well, helpful. He rescues trapped fish and other awesome things like that. My favorite helpy thing that he does is direct ocean traffic, because he can station himself in the middle of an eight-lane intersection (because such things exist in the ocean, duh) and hold a stop sign in every tentacle. By the age of eleven, I had moved on to more grownup things - namely, babysitting. Yes, I drunk the Babysitter's Club Kool-Aid, and quite happily so. This obsession was made all the more strange by the fact that I never - not once in my life - actually babysat. Oh, I took a local class. I got CPR-certified. But when the next-door neighbor wanted to leave her young ones with a responsible young teenager, who did she choose? My sister. My younger sister. But I digress. I loved those crazy girls from Stoneybrook, though I can't recall actually having a favorite among them. They all irritated me too much in one way or another. Kristy was too bossy, Maryanne was SO boring, Stacey was a snob, Dawn was too much of a hippie, and please, Mallory and/or Jessi were no one's favorites. I guess if I had to choose I'd pick Claudia, since she was all arty and had a wacky old grandma. And sorry ladies - Logan was a snoozefest, and no, he does not get bonus points for skiing over to Maryanne's house during that snowstorm. SNOOZEFEST. 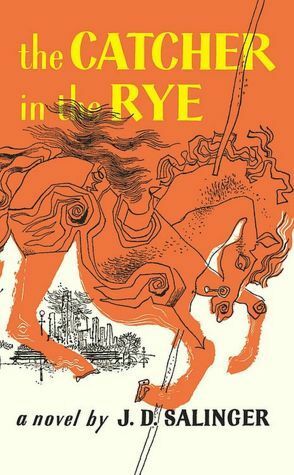 I, like approximately half of all teenagers who had to read it for school, adored Catcher in the Rye. I liked it for all the stuff he had to say about phonies, and man, adults just don't get it, and no one understands my pain - but mostly, I just thought it was really funny. My friend and I used to write down all the quotes that we loved and send them back and forth to each other as notes. Such as: "You can hit my father over the head with a chair and he won't wake up, but my mother, all you have to do to my mother is cough somewhere in Siberia and she'll hear you." Comedy! In my late teens and beyond, I was all about the Kurt Vonnegut, with my favorite being Sirens of Titan. It's got time travel, space travel, aliens, a dog - everything you want in a good book. Kurt Vonnegut had such a unique ability (one that I feverishly envy) to blend absurd humor and devastating heartbreak, all in the space of one friggin' sentence. Seriously, the man was a golden god. I have read every single one of his books to date, and I plan to read all of the ones he releases from beyond the grave, too. To enter, please fill out the Rafflecopter form below and have a mailing address in the U.S. or Canada. Good luck!